Gentle desker, you will understand why I am smug. I have had three lovely days at a large farmhouse on a scrapbook 'retreat' with my Coven. I sorted, packed and my word, I scrapped. I came home, photographed, filed and unpacked and put away! And it gets better...my desk shows signs of doing other stuff! I can hardly get over myself! I took this on Tuesday, about 5pm. Lights are on. That's a clue as to why I haven't posted this morning's photo. It's dark and dull. Apart from that it's identical! There's an upturned wood mounted stamp - Magenta's poinsettia. I don't know if you can make out the card in a shiny cello bag..it's for the Marython. I've been counting and cutting cardstock in preparation. There's a wedge of winter/Christmas papers at far right. Allegedly to remind me to use them. We'll see. A new and lovely sticky, luscious gold pigment ink pad. I know, I'm old fashioned about such things, but embossing gold ink with gold powder gives me a rich gold colour finish that I like! There's a couple of other cards for the Marython; one ready, another at a nascent stage. I might finish it today. But first, off to visit my lovely Mama, so look for me later rather than this morning! Show us your desk please, your workspaces are sent to inspire us. 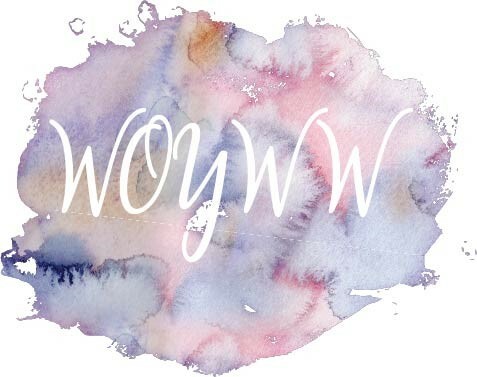 Put WOYWW in your post title and link your blog here. It's easy, free and fun. (Is that phrase from an advert?). If I had an East Wing in my lovely home, it would comprise a craft room that would be floor to 5ft high shelving. It couldn't be any higher because I'm not tall enough to reach much higher, and I don't want to strain myself. If I had to have drawers, they would be clear acrylic. This way, I wouldn't have to open every single one before I found what I was looking for. 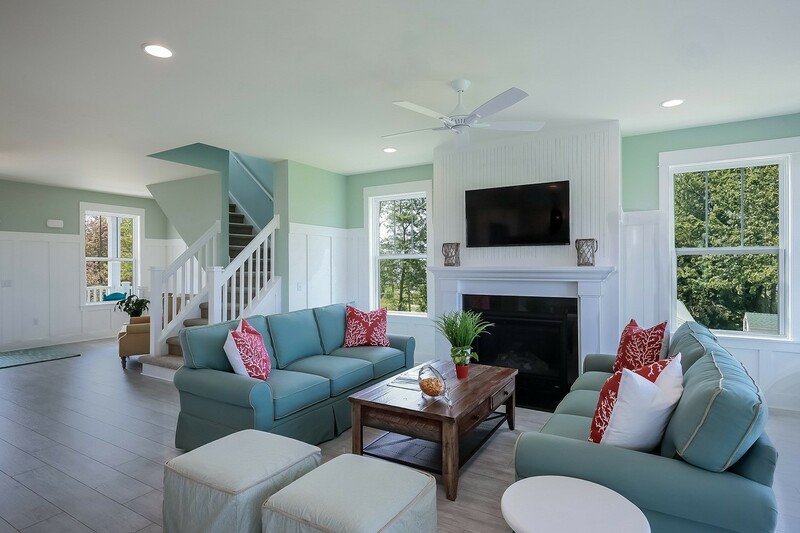 There would be large windows, maybe an atrium roof to assist with really good light. Above all, the plan would be to have all - everything- I own in terms of stamps and stash, on show. My scrapbook papers. Originally, I bought those 12 x 12 boxes to store them in. Now they are just a part of the piles. I used to use papers to punch or die cut and as mounts for some card making, but that habit dropped off when I had to start pulling out piles instead of the odd box. See those punches at bottom right? I can't part with them, but I can't remember the last time I used them. I suspect that if they were on the wall on a rail, I would use them. Likewise with my dies. I love the binder storage, but I'd use them even more if they were on a magnetic sheet on the wall. My fantasy room would have a shelf section with empty acrylic boxes on it. These would be for when I do want to transport stash to a crop or workshop. They wouldn't otherwise be used, I would be able to leaf through all papers, card stock etc without difficulty. I'm thinking bins like they used to have in record shops. I know racks work well, but not if you have 100 different sheets to leaf through on each shelf, and this is my fantasy room, remember! Shopkeeper Gal and I inherited a great friend's stash. Her stamp collection is very large and in the main, unused over many years of collecting. If they had been mine and stored in this way, the same would apply. I can't bear the thought of needing the stamp at the bottom of the box! It would definitely remain unused. Out of sight, out of motivation to get in within sight! So this weekend is a 'retreat' weekend for me. Scrapbooking. It's a once a year get away and I really enjoy it. More than that though, it's the opportunity to pull out assess and re-arrange stash. It causes older stuff to be cycled to the top of the piles. It's a good thing. It puts it back in line of vision. Do you think while I'm away, Mr Dunnit will build that East Wing? I don't go on about it, because I'm frightened by the alternative...he might tidy up while I'm away! Me and the Coven are off for a weekend of scrapbooking, deep in the Dorset countryside. So here is the beginnings of getting ready. The photos arrived in double quick time and I laid them out like this last Friday so that I could see clearly and formulate a plan. They are all still there. Not only that, they are a bit more curved now, thanks to a couple of warm days! They are today's priority. Well, till lunchtime, then I'm off to visit my Mama. So whilst I'm doing that, please blog your work desks, link here and let us visit. And don't forget to tell me if you'd like a new WOYWW badge! Do you know the expression that says something about being so busy that you'll meet yourself coming back? Well, I think I've cracked it. You may have read of my panic to get Christmas cards made for a Charity sale. For a change, I used forethought and wisdom and made our family cards as well. So now, apart from a few for workshops, I seem to have put Christmas behind me already! Which means that I'm using Autumn as a theme. I like Autumn, it lets you get away with a variety of colours that would otherwise be a bit mismatched. Copper colour base mat, black embossed card (a new folder) and gold cord. You wouldn't, normally, would you! You can see, it's the same leaf, actually a PSX stamp. Blimey, PSX. The text is stamped on a bit of oak veneer that I may have stolen from the scrap bin at work. It's a Hero Arts stamp; I can't say how old, but still very useful! I used Pixie Powders to colour the leaves. It involves baby wipes, water, wet desk, shiny fingers and some swearing I'm afraid - as much as I like the results, I'm not good at the method! There's shadow across the card, and a rich golden autumnal light. Totally real too...I took the picture at about 5pm the other evening, gorgeous autumnal evening. Unlike the rubbish light of this card...I don't know if you can really see what I've done! This is a Judikins stamp. I used black pigment ink and a pearly green embossing powder so the trees have a touch of colour. The rest is just adding tiny dots of wet glue which I foiled when dry. I like the card stock used for this. Very old 'rust gold' pre-folds, from back when Clarity was using the Imagina label. Not only have I stepped back into Autumn, I've been using some very retro stamps and marques. There's nothing like a bit of up to date reminiscing! A part of the legacy from my friend Mary. We needed to spread them out to see them and decide what we could use, keep etc. Would that there was room to keep them all. And time to use them! Late yesterday I set to finishing some Workshop samples; it's next week and once again I seem to have managed to convince myself that I had a week in hand. Lordy, it all just goes by too fast! I was playing with Distress Inks and solid stamps, but they aren't great inks for that, so I gave up. Then I had another idea that involved those Pixie Powders. (Like Brushos, but pearlescent). It is my mission to come up with a way to enjoy them without making heaps of mess. Ha! An empty mug, the spoon is a give-away - I only keep the spoon in a mug if it's hot chocolate. Inevitably there's scissors, and today, even two pairs of glasses. It's not fully productive, but when you've got a room full of stamps to sort and pick over, it's difficult to concentrate! Show and tell will you? we'd like to see how you're doing, what you're doing and what you've got. Link your WOYWW entitled post here and some of us will pop round. This whole thing is based on reciprocal visits - if you aren't getting many visitors, you probably aren't making many visits. 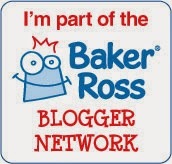 If you don't visit at all, but just link here, eventually people will recognise your blog link and pass it over. You have to participate in the community to get something/anything out of it. That's not unreasonable, huh! 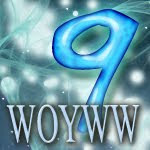 Housekeeping: there's a new WOYWW logo and therefore a new badge...lemme know if you'd like one! Post WOYWW Crop blues have hit my desk. I've achieved that 'caught in time' look that photos are meant to reveal, for sure. There lies stuff that I used in preparation for going to Llandudno and didn't put away. And now there lies stuff as a result of unpacking after being to Llandudno. The pizza box and white carrier are new to me stuff that I plan to use for a card making marathon day I'm involved with. We're using stash left to us by a dear friend and crafter called Mary. So, to honour her stash and her memory, we're calling our day of card making, 'A Marython'. Geddit. You can see my new(ish) tractor seat stool too. Happy to report it's incredibly comfortable. But in these early mornings, a nightdress isn't enough to prevent the seat feeling very cold on first use! The Crop was amazing. Proper commentary and photos are available on better blogs than this; I can't tag them yet, several were waiting till today to talk about their experience. Ooh err! Please link your WOYWW post here, visit and be visited. That's the ticket. Or as we Welsh speakers say - 'there's lovely'. I know I'm late to post about the WOYWW Crop, but it hasn't stopped me musing and thinking and enjoying the fresh memories. The thing about the photos that several have already published is that it shows me things I missed. Some of them feature me rather too often as well, I'm very sorry. It was lovely, no doubt about it. Margaret worked long and hard to ensure that we had good facilities and maximum food comfort. And she did it all in her smiling and warm way. Having been involved in Crops, workshops and large craft numbers for some years, I know how hard Margaret worked on her own, and believe me dear gal, nothing went unnoticed. The image was pre-stamped, some years ago. Long story. Can you just see the light blue/green colour around the snowman outline? It took me all day to do that. On just this one. There was a decent trade of gifts and ATCs too. I managed to distract attention from my lack of ATCs to trade by giving out a new WOYWW badge. Phew. Look - Elizabeth made a little fabric tray and a matching ATC for me. Well, in truth she had made one for everyone. And Annie was offering a choice of gifts for heaven's sake. This little paperweight had my name all over it. And my ATC box is becoming a source of technique references! Look at these lovelies. From left, these are from Sarah, Christine (top), Neet, Dolores (top) Margaret and Anne. There was craft chat. Techniques and products were talked about all around. There was life story chat. Family chat. Journey chat. Parking chat. Weather chat. Food chat. even football chat at one point! Thank you Margaret, for a day that reminded me totally that WOYWW is actually a tangible and useful thing. That friends are friends, online or in person. And that the miles make a difference, but don't count at all.